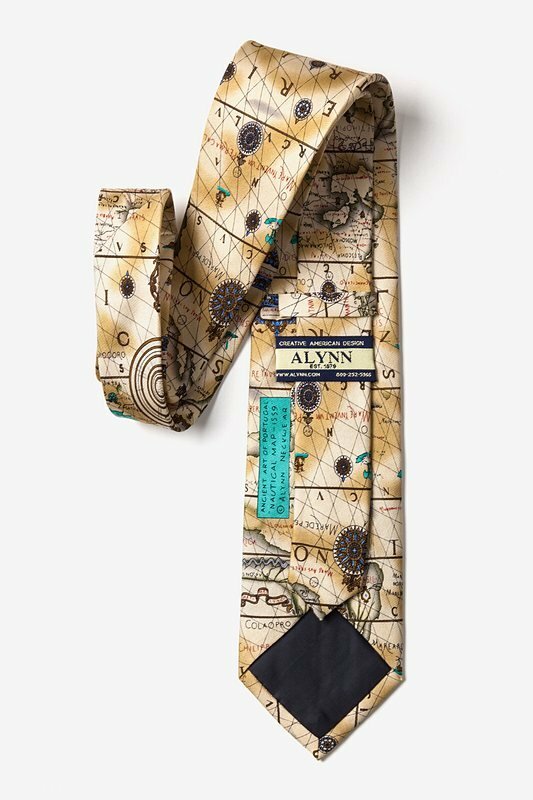 Channel your inner Ferdinand Magellan with this tie featuring the map of the world. 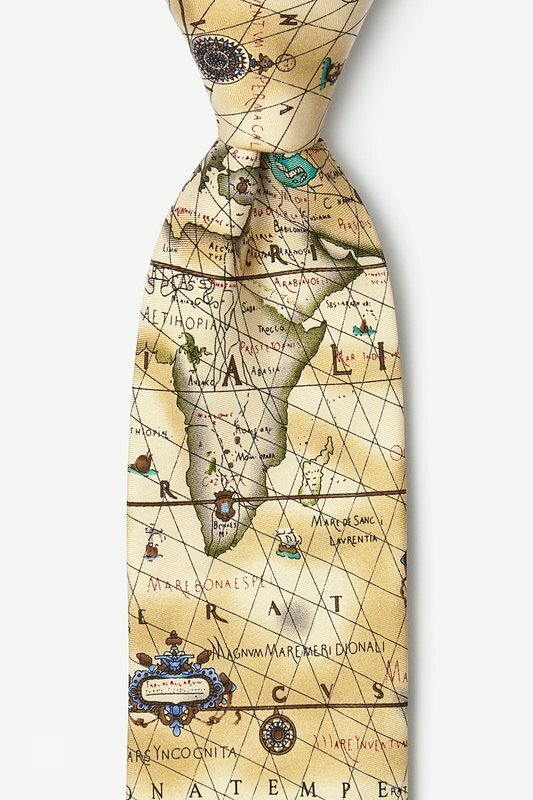 The Ancient Art of Portugal Map Tie allows you to become an explorer with a detai... read more Channel your inner Ferdinand Magellan with this tie featuring the map of the world. The Ancient Art of Portugal Map Tie allows you to become an explorer with a detailed map and compass design. Rediscover the continents using this 100% silk necktie that's made from the finest material.